There's a new option for socially conscious investors interested in a region whose growth has often come at a cost to the environment. Pressures are converging globally in one way or another on corporations to engage in better business practices; protect the environments in which they function, or from which they source raw materials; heed customer concerns over safety or employment practices; or even just to improve tarnished images. Investors and their investments are following suit, with increasing interest in activism of one sort or another informing choices both at home and around the world. One particular region that has given some investors cause to hesitate, despite its explosive growth, is Asia—because much of that growth has come heedless of the cost to future generations. But now there’s a new option for socially responsible investors: the Matthews Asia ESG Fund. ESG stands for environmental, social and governance—the three pillars on which the fund is built and choices are made. Vivek Tanneeru, portfolio manager of the fund, pointed out that the resolution of issues connected with all three of these is critical to continue growth in the region. To emphasize their necessity, he highlighted three dimensions of the problems Asia faces: carbon emissions, pollution and health care. “If you are a global investor focused on addressing climate change,” said Tanneeru, “you have to address it in Asia first, where the bulk of emissions growth happened in the past and [will happen going] forward.” Asia as a whole emits more than twice the carbon of North America. In 2010, China’s per capita GDP was where the U.S.’s was in 1941; however, China’s economy was already eight times that of the U.S. Continued growth and GDP expansion could make the situation much worse, not just in China but globally, absent a push by industries and government to cut emissions. Then there’s pollution—both air and water. China’s already been through at least one “Aha!” moment, in 2013 when Beijing famously suffered “Airpocalypse”—a days-long virtual shutdown because of air pollution so thick people could barely see or breathe. 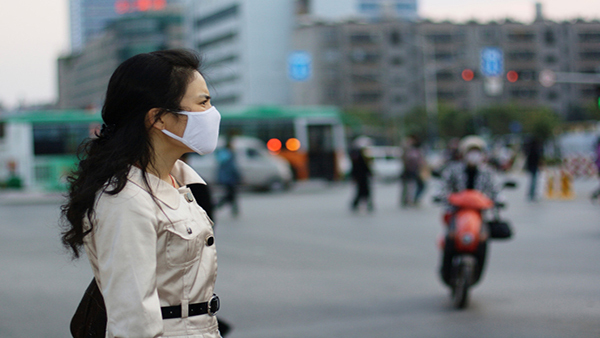 In the same year Beijing started to crack down on pollution—although the problem is very far from solved. The third thing to consider, health care, also illustrates the potential for growth. India, Pakistan and Bangladesh, combined have a population of 1.5 billion people. Of that number, he said, maybe one of those 1.5 billion could afford the pricetag for Gilead’s Hepatitis C drug,Sovaldi. In March reports appeared of a $10-per-pill version already available in Bangladesh, which of course makes the drug far more accessible compared with its present cost in the U.S.: $84,000 for the 12-week course of treatment, about $1,000 per pill. That’s where the new fund comes in—to watch for companies that are not only working to reverse pollution and reduce emissions in a wide range of fields, but also to provide health care to the millions and millions of people in the region. Matthews, said Tanneeru, has been focused on governance issues from the beginning, and has been in Asia for nearly 25 years. “You don’t want to get into bed with a corporation you can’t trust,” he said, and the new fund is adding environmental and social factors to its considerations. “In Asia you’re increasingly seeing the middle classes demanding good quality of life,” said Tanneeru; “[reduction of] pollution, companies they can trust, product safety.” Such scandals as melamine in milk have made consumers demand that government and companies respond, he said. The need to address these concerns more formally means that companies are responding, but the addition of environmental and social screens to Matthews’ already-in-place governance reviews allows investors access to a different group of companies than through other ESG rankings. Companies ranked by other scales than that used by Matthews, he said, for instance in Europe and in the U.S., “tend to be large cap, and we see that in Asia too.” Nonetheless, some big names in Asia haven’t been officially ranked for ESG. In addition, he said, smaller companies fall through the cracks. Some companies practice ESG, but don’t talk about it; while they present good opportunities based on what they do, including “some risk mitigation techniques that are good from a cost reduction standpoint,” they aren’t “sophisticated” about the language in which they describe their ESG practices in quarterly and annual reports. That makes others overlook the long-term opportunities they present.